I really apologize for the double post today, but I wanted to point you towards my guest review of The History of The West Wing by Sun Jiayu and Guo Guo at Color Online. 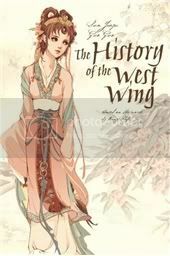 The History of the West Wing is a gorgeously illustrated graphic novel based on a traditional Chinese story that dates back to the eight century. If you have a minute, I'd love it if you could click over. And while you're at, you should take a moment to explore Color Online if you haven't yet - they're awesome, and I'm very honoured to be able to contribute to the site. 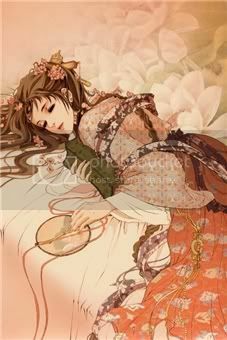 I love that gorgeous picture!! Is the whole book like that? awww i am totally reading your post when i get home from work! Heading on over after I read your other post. I love the fluid style of the paintings. I want one in poster form! Thanks for taking the time to visit Color Online, everyone! So glad you are helping to support the Color Online crew! I'm adding this to my list. Now that's lovely! I just love the colors.